This photo was taken in mid-November in North Lake Tahoe. It was a very unseasonably warm day on the lake and people were out kayaking and stand-up paddling. 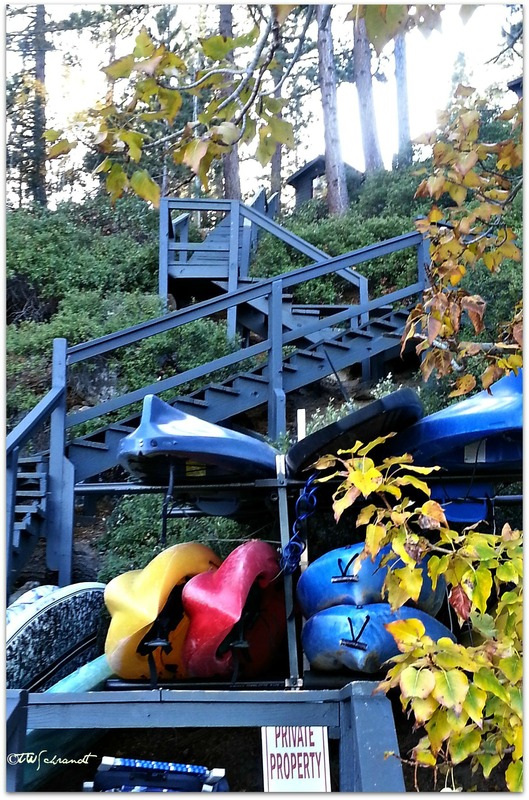 I was struck how the yellow kayak and the yellow leaves stood out against the cool blues and greens of the background. Great visualization. Love the photo. Thank you! How are you doing?? All good. Need to write something for you soon. Busy around this time… but I guess I am not the only one 😉 How is your Christmas shaping up?